There are at least 18,000 deities on Jeju Island and no one knows how many different rituals. Even as I go back to my homeland to study every year, I am discovering completely new ritualistic realms. Last year in Jeju, I experienced a ritual that completely changed my perspective and shifted the course of what I am doing in my work here, in Oakland. For many years, I have been working on rituals with the intention of making connection. In this case, connection means bringing the community together in collective action, balancing disparate facets of humanity, society, nature, and spirituality. If the community is to thrive and sustain itself, there must be balance. When these facets are fractured, life goes out of balance. When I saw this ritual, I wept, and my tears poured into my heart. This confirmed the function of my art form to serve as the connector. I saw all these worlds as a system – Creation to Earth; Land to Village; People to Nature; Body of Earth to Universe; Life to Death. The infinite threads of life traverse all dimensions. The indigenous beliefs of Jeju look at the universe based in equality – as if all those realms are equal. People are NOT more important than nature. When people do not take responsibility for nature, this creates imbalance and the community suffers as a result. With this, the ritual is designed to bring these worlds into one space, to balance everything on an equal, horizontal plane. The diagram above is a map of the universe. Everything is connected through MU:영매. Balancing the worlds is the path to healing the Earth. We can weave the connections of these worlds through the threads of our stories. In our stories, time (past, present, and future) and space meet. Ancestors and people meet. Dangkuel is a space for greeting and grieving our invited deities, spirits, and ancestors. This space is a convergence place between their time and ours, a festival where we meet and connect. Dangkuel creates the universe. Kuendae (flag) symbolizes the bridge between the past and present. We set a path for our ancestors to liberate their suppressed stories and spirits. 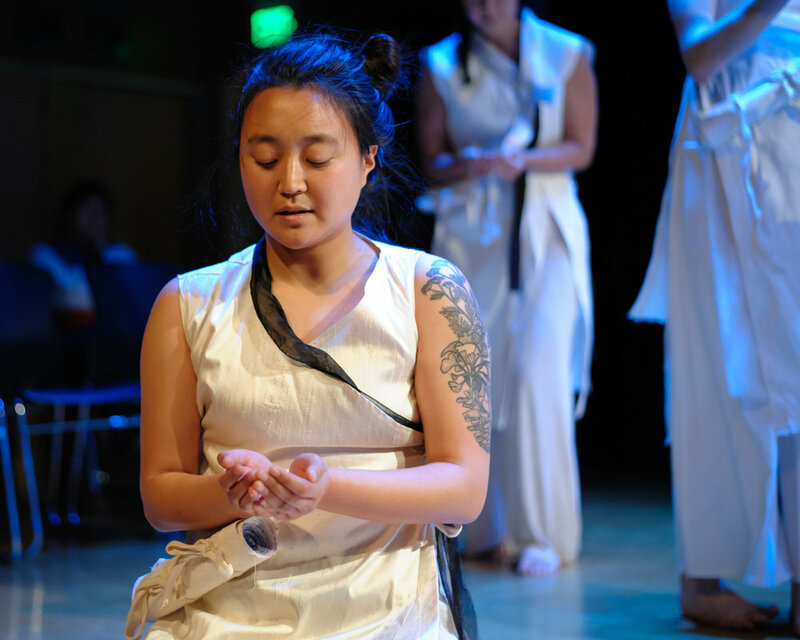 “Waterways, Time Weaves” is the culminating production of an over three-year collaborative process of ritual, healing and performance with the community groups “CoRazOn”, Asian American Immigrant Women's Collective, and “B.A.B.Y.”, Bay Area Bhutanese Youth Group. 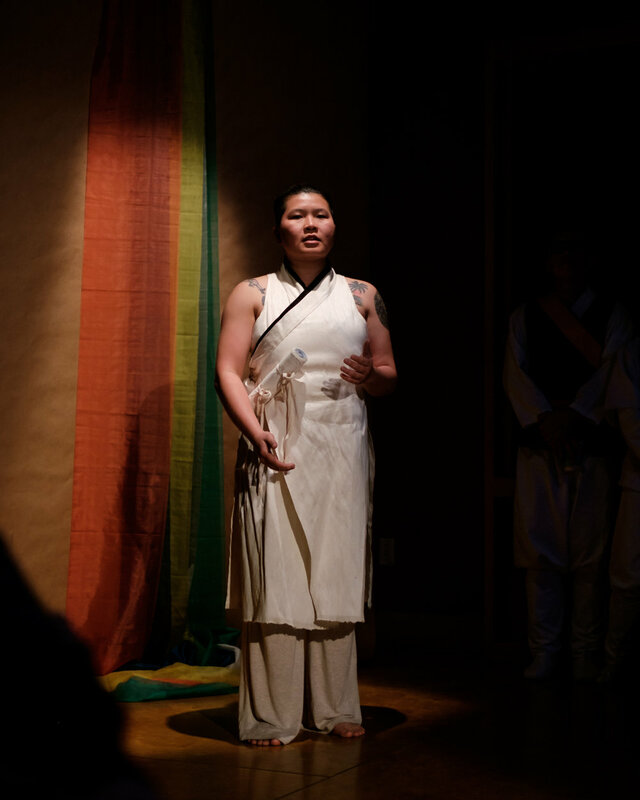 This performance ritual calls in the myths that connect us to our lands, to nature, our common history, and belief systems. We are guided by a vision to shed patriarchal colonial rule which this country was built on and still permeates the world with great oppression and coinciding grief. Through ritual-making, myth, history and our cultures connect us through space and time. From our ancestral homelands to here. From past to future. Myth shines a light on how we may continue into the future and heal fractured relationships from the echo of repeated history that we live now. What we can do, as human beings, in this world is to gather and share our stories, which have been passed down from our ancestors, and create/perform rituals to connect, inspire and heal. 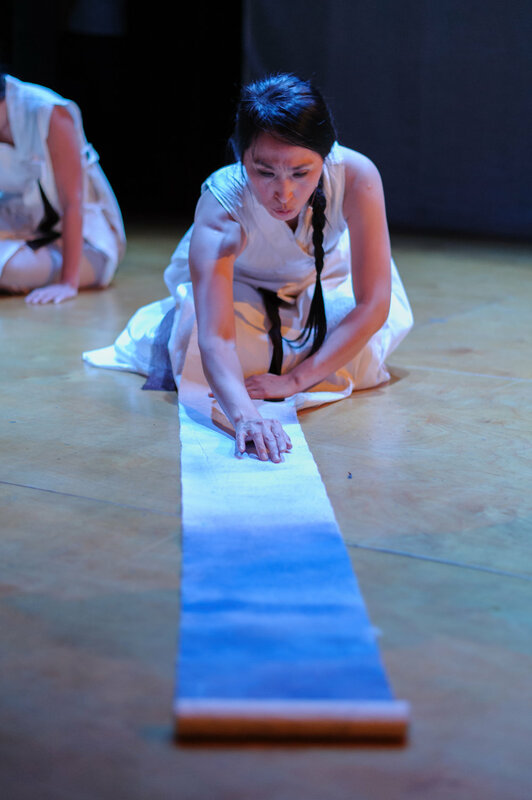 The Inspiration for ARA Ritual I, II: Waterways and Time Weaves is Theresa Hak Kyung Cha, a Korean immigrant woman who came as a child with her family to the U.S., settling in San Francisco in 1964, after the Korean War. She moved to New York to pursue her art in 1980 and by 1982, she was taken from us, raped and murdered, a week after the release of her autobiographical work, Dictee. She was 31 years old. The Cha family lived through the most intense historical time in Korea right after the war: dictatorship, student uprisings, rapid industrialization, and then moved to the U.S. in the midst of the civil rights movement and the Vietnam War. 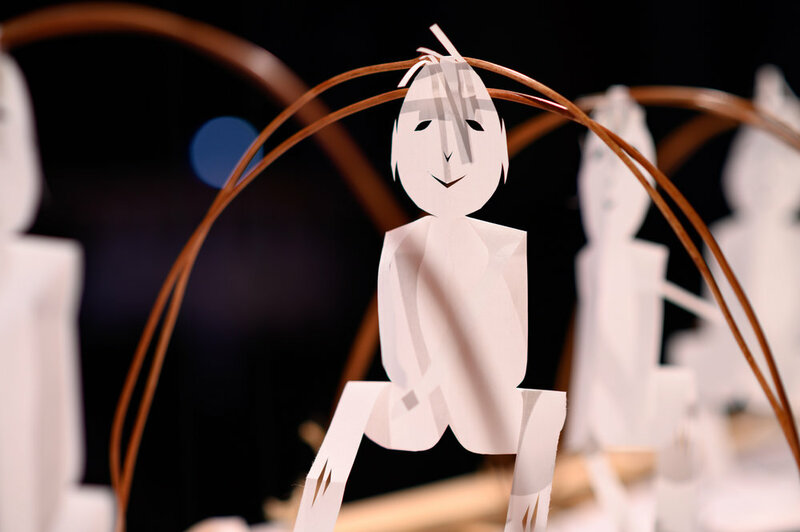 Through her work, these histories weave into present time. The same struggles for civil rights, equality, justice, rights of expression, women’s rights, immigrant rights and refugee experience are still present and affect our lives. 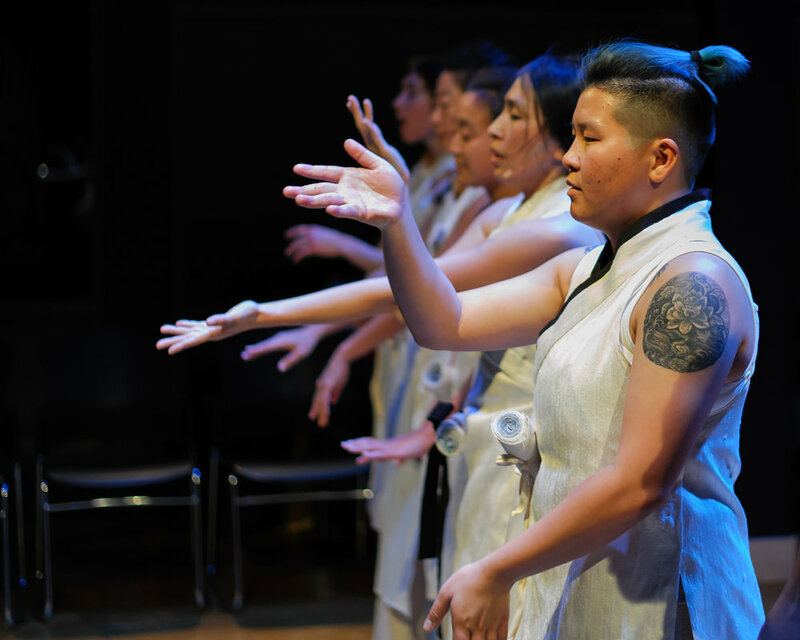 The inspiration of Cha continues on with our final ARA Ritual III: Waterways, Time Weaves through CoRazOn, The Bay Area Bhutanese Youth Group and Puri Arts Creative Ensemble. We have cultivated and integrated our stories as an offering for the ancestors who brought us here to exist and to remember their stories. Their stories through our voices are essential for creating and cultivating strength and hope. ARA Ritual I-III has been guided by the spirits of Mago, Ara, Obangshinjang, Baridaegi, Ogoo, Theresa Hak Kyung Cha and all collaborator’s ancestors. 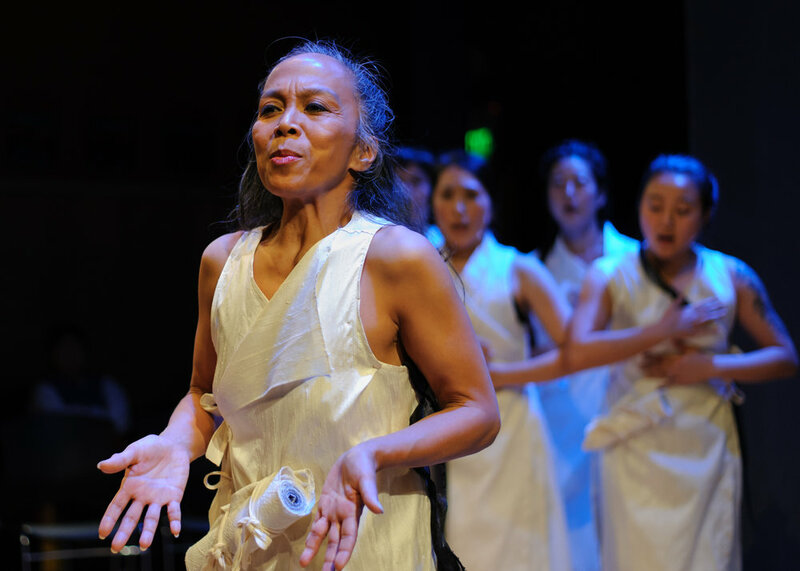 This performance ritual is dedicated to them, our ancestors, and all immigrant and refugee people who still endure so much hardship, to their lives, hopes and to justice. And to all people who died fighting for justice from the past into present time. 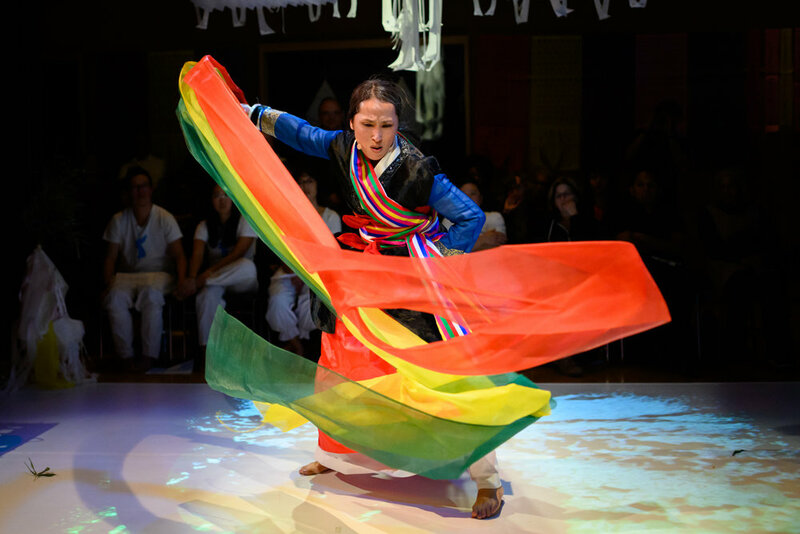 ARA III was made possible by generous support from MAP Fund; Kenneth Rainin Foundation New & Experimental Works Program; the Shawl Anderson Dance Center and all the people who donated at ARA Ritual I & II. 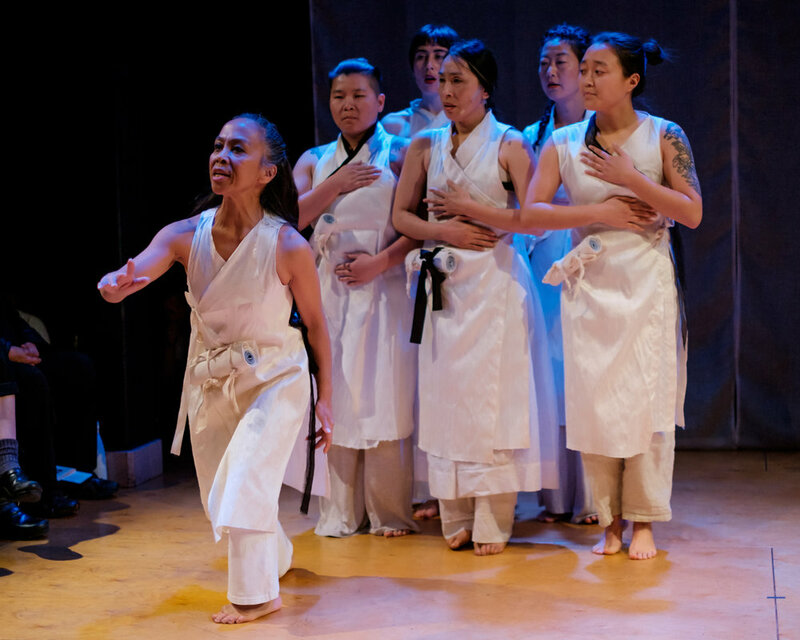 So much gratitude to Dancers' Group for choosing us to be a part of their pilot matching fund program and to our amazing donors who gave generously to help us make our match. José María Francos (Lighting Designer) studied lighting and set design at Laney College in Oakland back in the early 80’s and has not stop working since then. He has designed for Opera, Ballet and Theater. 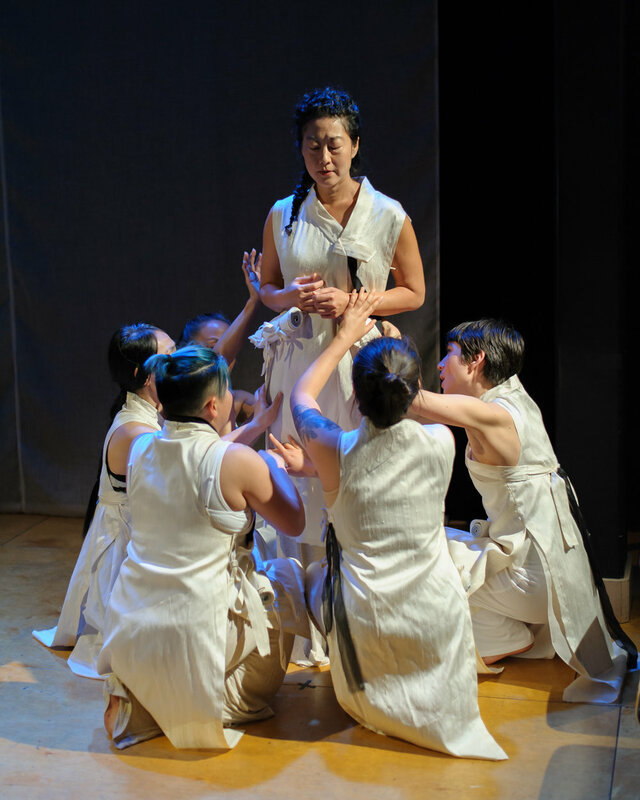 Oakland Opera, Oakland Ballet, The Wall Flower Order, June Watanabe In Dance, Ellen Bromberg Ensemble, Joanna Haigood’s Zaccho Dance Theater, Robert Moses KIN, Dance Brigade, Dohee Lee Performance Projects, Amara Tabor Smith, and NAKA Dance Theater are some of the artists and organizations he has worked with over the years. 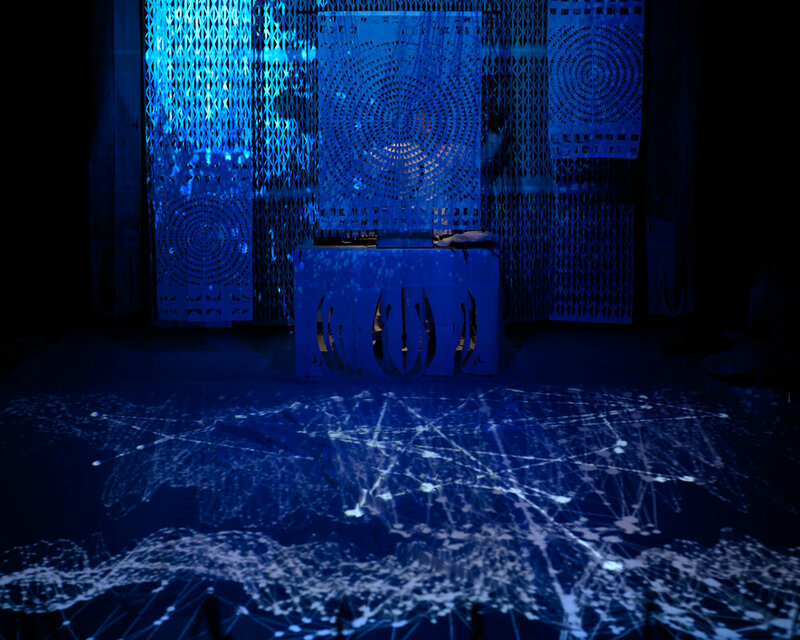 He happily retired as Technical Director for Yerba Buena Center for the Arts in San Francisco in 2017 to return to his design career. Nicholas Liem (Videographer/Editor) is New York City based filmmaker from Berkeley California. His focus is on topics concerning Asian and Asian American culture. He was formerly a music student of Dohee Lee during the early 2000's. Stevie Sanchez (Animator) is an activist-filmmaker who is dedicated to supporting social justice movements and building stronger communities through cultural work. He has worked with various social movement organizations to produce videos that strategically benefitted their campaigns, and produced animation and video art for theatrical performances in the Bay Area. Stevie currently works at the Eastside Cultural Center where he documents events, manages a digital archive, and creates politically conscious short films in collaboration with local artist/cultural workers. Yoshinori Asai (Visual/Installation Artist) is a visual artist, originally from Japan. After receiving his BA in Theatre Arts from San Jose State University, he relocated to Madison, WI, where he is currently pursuing his MFA in Studio Art. 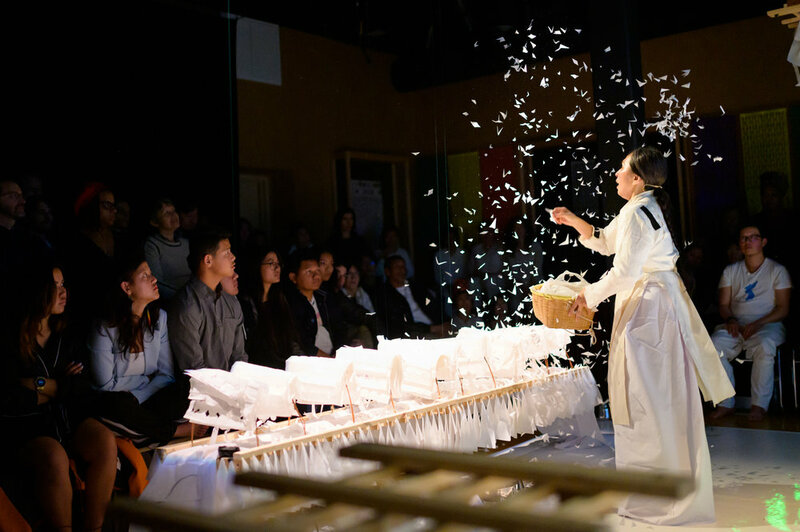 During his time in the San Francisco Bay Area, he collaborated with various artists and performance groups, including Dohee Lee, Amara Tabor-Smith, We Players, Degenerate Art Ensemble, and inkBoat. HOBAK, Ieumsae (ee-um-seh) – connector; the transition between two rhythms. We are a collective of Korean drummers living in the Bay Area. 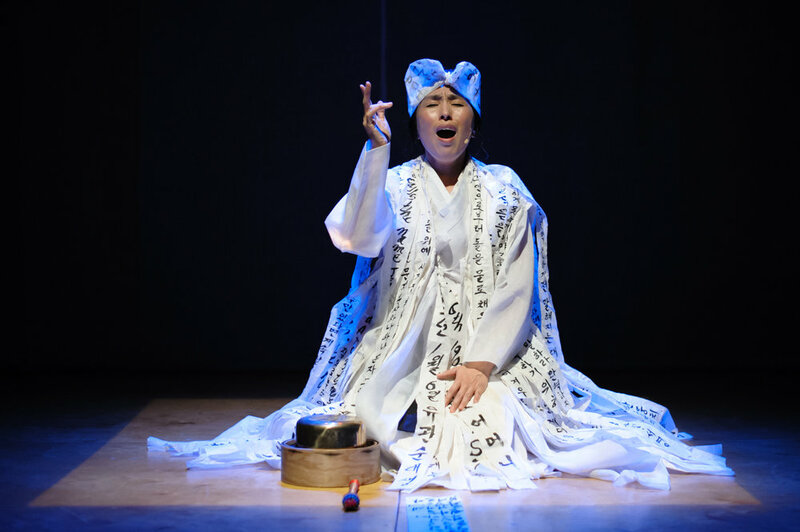 As Koreans in diaspora, playing together is a powerful spiritual and political act. 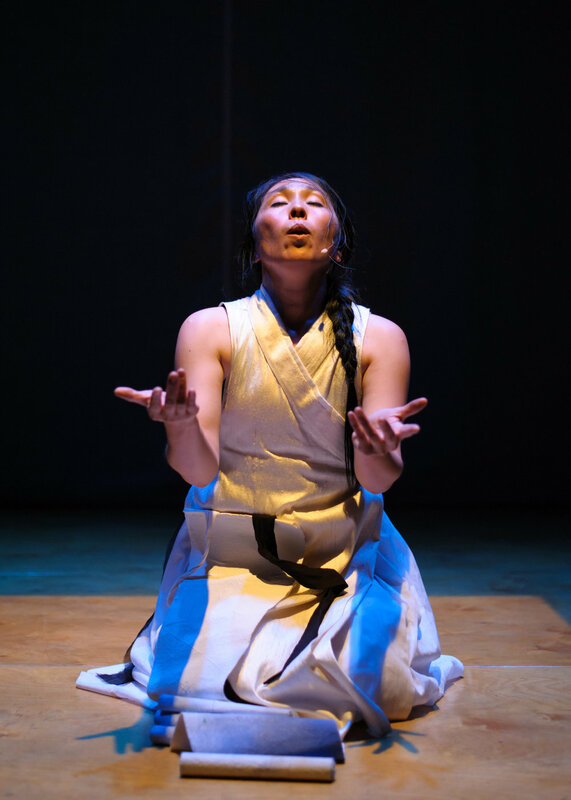 Through drumming, we are able to connect with and reclaim our Korean cultures and identities, and uphold the legacy of resistance of Pungmul drummers, who were a constant presence during the political uprisings in Korea to end military dictatorship. As Korean Americans, Korean immigrants, feminists, queer folks, trans folks, mixed race folks, and adoptees, we take our drumming into the streets and alongside our comrades - bringing energy, rhythm, and solidarity to people resisting police violence, war and imperialism in the US and abroad. 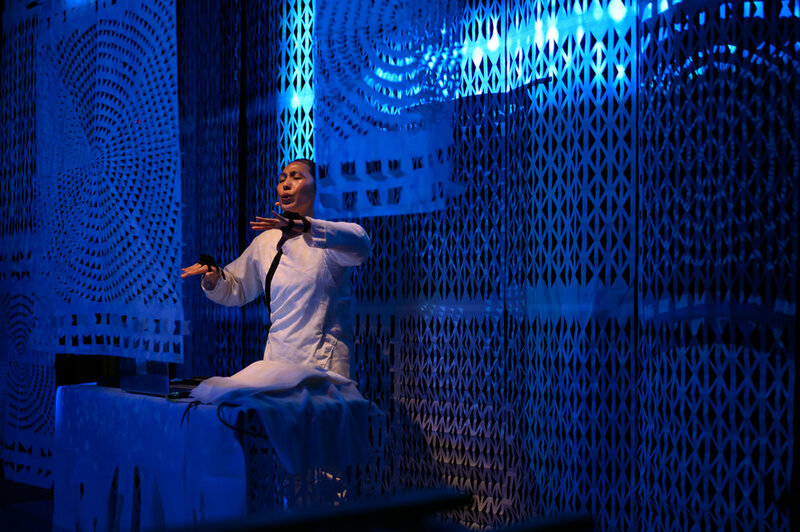 A multi-year ritual performance project featuring elements of traditional Korean dance, contemporary dance, music with acoustic and electronic elements, video projections.